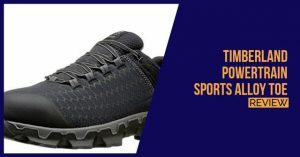 The Timberland PRO Powertrain Sports Alloy Toe Shoes are not the most durable of shoes that you could choose from and the shoes are only constructed from Rip Stop nylon. 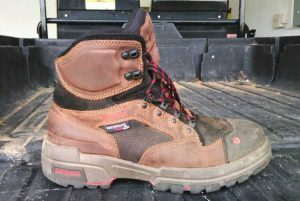 This is not really on the same level as leather, but it will still be a decent substitute if your job does not require you to walk through all of those strenuous outdoor terrains and on a few of those busy construction sites. The shoes take the form of a sneaker and this is actually quite welcoming to those who like to dress fashionably casual for work. The shoes will work with most wardrobes and can even be worn without any type of board shorts as well. If you are having a night out with the boys, you can even wear these shoes with your casual jean and t-shirt. 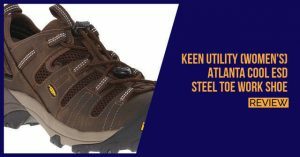 The alloy toe is carefully placed on the inside of the shoe and this will not hurt your feet at all. 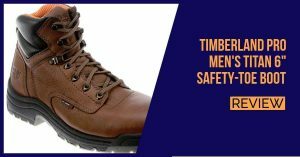 The alloy is strong enough to keep your toes protected when you are working near dangerous objects, but we do think that the nylon might eventually give in and this could be really hazardous. The outer sole also includes some technology of its own and it features anti-fatigue technology. This will ensure that you manage to stay on your feet for longer periods of time before getting tires, which will be ideal for waiters. A mesh lining has been included and this has been carefully treated with antimicrobial properties. This will ensure that your shoes never give off any embarrassing odors and no buildup of bacteria will ever be present on the inside of the shoe. For structural support, the addition of a non-metallic shank will keep your feet supported and also add some more resistance to the buildup of fatigue. In terms of pricing, this shoe is priced right in the middle. We do think that it does lack a little in terms of durability and you might find that buying leather shoe is a little better. 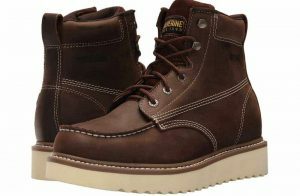 The style and the design of this shoe are great and we believe that it is the real selling point of the entire shoe. In terms of recommendations, we would recommend that you only use this shoe if the environment is not as strenuous and your shoes do not get torn or ripped all that often. This will be perfect for waiters and for anyone working in a slippery warehouse environment.